Home / Health Insurance Company Reviews / State National Health Insurance Company Inc. This review if for the State National Health Insurance Company, Inc. State National offers insurance programs that serve as a bridge in between specific business opportunities and the insurance and reinsurance needs associated with those opportunities. State National Insurance Company also offers complete services for lenders. State National serves as both the administrator of the insurance coverage for lenders as well as the underwriter. State National is one of the world’s foremost authorities on Collateral Protection Insurance, also known as CPI. Additionally, State National Insurance Company offers specialty insurance products to all its business customers. Despite all the different products offered by the State National Insurance Company, there is no individual or business health insurance coverage available. If you are interested in getting health insurance coverage for you and your family, or for a business, you must contact another insurance broker or company. 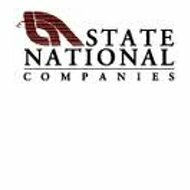 State National Companies was founded in 1973, and State National Insurance Company was officially formed in 1984. A third company, State National Insurance Company, was acquired in 1999, and finally, United Specialty Insurance Company was formed in 2006. State National Insurance Company has more than $600 million written in annual premiums, and a staff of nearly 400 employees. There is no additional information available as far as additional State National Insurance Company offices. There is an online contact form that allows you to send a secure message to the company, as well as a complete listing of the management team at State National Insurance Company. Since State National Insurance Company has the ability to offer insurance products to any business in the United States, no matter the home state, State National can provide a broad range of property and casualty insurance products, as well as different programs depending on need. State National Insurance Company provides different insurance companies the ability to merge into a new market, learn about additional insurance opportunities, and continue to grow. In addition, State National Insurance Company has an open communication policy that makes each staff member accountable and reachable, including senior management. State National Insurance Company has several affiliates, including National Specialty Insurance Company and United Specialty Insurance Company. National Specialty Insurance Company offers multi-line capabilities for licensing in all 50 states and the District of Columbia, and the United Specialty Insurance Company, which is a carrier for surplus and excess lines, does business in most of the United States. State National Insurance Company has earned a rating of A (excellent) from the A.M. Best Company. In addition, the National Specialty Insurance Company and the United Specialty Insurance Company are both also rated A by A.M. Best. A.M. Best ratings are given based on the company’s’ financial strength. If you are interested in a career with State National Insurance Company or any of its affiliate companies, there is a direct link on the website that leads to various job openings with the company. State National Insurance Company claims to provide both an informal and very employee-friendly environment. The main goal at State National Insurance is to provide outstanding and responsive service to customers and potential clients. Employees are empowered to make suggestions, provide various contributions in the form of new ideas and processes that can help the company and its customers. In addition, State National offers its employees the ability to grow and advance their careers. Current openings can be found by entering a keyword, job location, or the position category or function. Additionally, interested applicants can simply search all jobs to see which one fits their individuals’ qualifications, experience, and education best.